Estimated Class 2, meets Class 2, 8% covered limit 10% but rider about shadow from new fire station with observation level. Limit allowed 7 degrees. 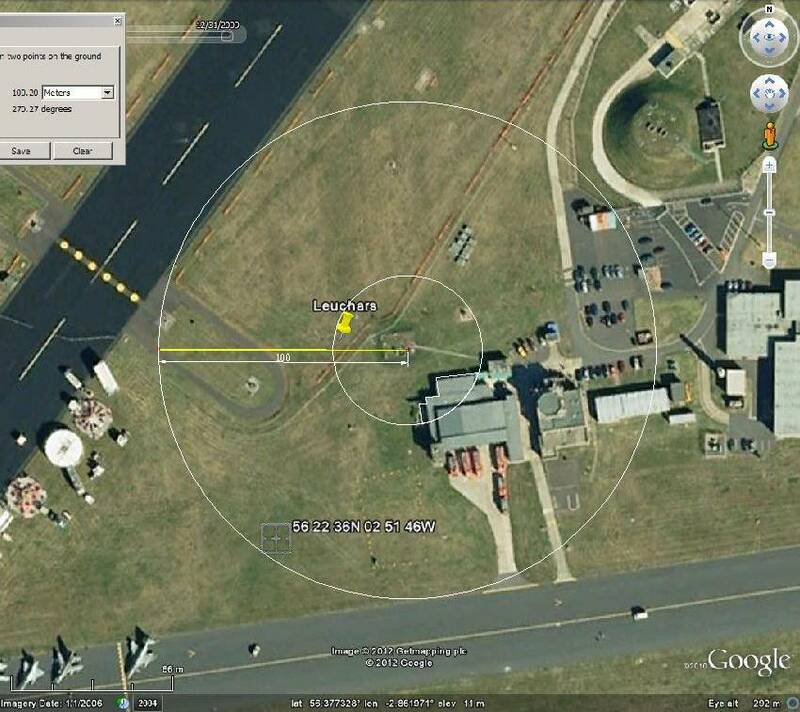 UHI, local airbase, small town, 12 km Dundee, Scottish east coast. © Copyright geojoc and licensed for reuse under this Creative Commons Licence. Click image for details. Looking east, fire station nearest, probable long lens foreshortening. Met station is immediately to left of fire station. Ministry of Defence state this station has one of if not the longest station climatological record back into the 1920s. (to which I add, not without major station changes) Today the met office is permanently manned by one or two if operations (MoD publicity). Base is primarily air defence interception, fast jets. Probing by Soviet long range was common and I gather the Russians do sometimes. Lossiemouth, Kinloss and Leuchars . Just how many air bases do the RAF need in such a small area? The Met offices at these and most other aerodromes and airports are clearly there to provide local conditions for aviators and should not IMHO be used for scientic or climate research.